Roman Romanovsky won more than $125,000 from two major online poker tournaments this weekend. Ukraine’s Roman Romanovsky (lead image) informed PokerNews that he was planning to eventually quit playing poker in an interview in Jan. 2018. While he did not set a date for his retirement, it looks unlikely he will be walking away anytime soon judging by how he crushed two major online events on Mar. 24, 2019. Roman “SanityWaterline” Romanovsky was one of 20-entrants in the Sunday Blade $10K at Natural8 this weekend, which meant an overlay of $6,000 on this $10,000 buy-in tournament. Only the top three finishers received prize money, and it was the superstar that is Bryn “Bryn Kenney” Kenney who was the unfortunate soul to burst the money bubble, doing so after firing two bullets. Kenney’s exit meant the remaining three players were guaranteed $32,285, which is the sum Thailand-based pro and Natural8 regular “ImLividBuddy” collected when they busted in third-place. 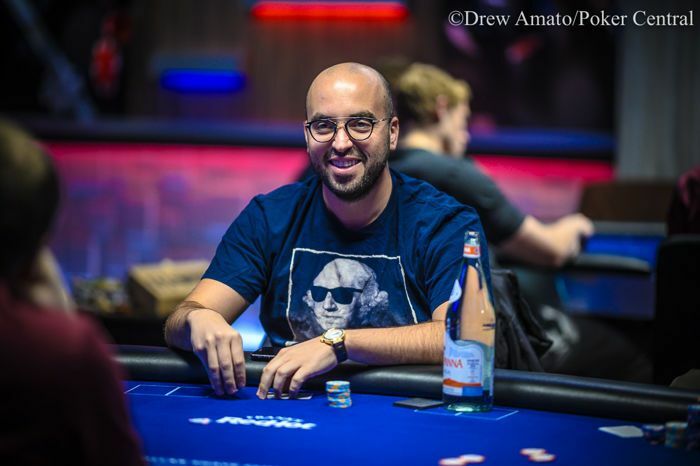 Romanovsky and “LuckyChewyFan69”, an alias paying homage to Andrew “Lucky Chewy” Lichtenberger, battled heads-up in what was now essentially a $41,286 heads-up sit & go. Despite the huge difference in prize money, no deal was struck. This meant when LuckyChewyFan69 busted in second-place, they collected $63,214 and Romanovsky claimed the $104,500 top prize. The Sunday Blade $5K was another high roller event hosted at Natural8 on Mar. 24 with this event attracting 50 entries in total; nine of those buy-ins came from the players who finished in the top three finishing positions. “RuiNF*” crashed out of the tournament in seventh-place and was the last player to walk away empty-handed. Mexico’s “NONAMES” fell in sixth-place for an $11,358 score before “Picasso16” claimed the $16,911 fifth-place prize. After having burst the money bubble in the Sunday Blade $10K, Bryn “Bryn Kenney” Kenney made amends by turning his one $5,000 bullet into $25,177 when he ran out of steam in fourth-place. Third-place and $37,484 went to Canada’s “FkTheseGuysBro” which set up a heads-up battle between “LlinusLLove” and “ImLividBuddy.” The latter busted in second-place after firing four bullets at the prize pool; the runner-up finish was worth $55,807. This meant LlinusLLove collected $90,760 and the title of champion, making the decision to buy-in three times a good one. After taking down the Natural8 Sunday Blade $10K, Roman “SanityWaterline” Romanovsky triumphed in the partypoker Sunday High Roller Deepstack: $100K Gtd, adding $22,656 to his bankroll. The $215 buy-in event saw 615-entries processed and 80 players awarded prize money. Everyone at the eight-handed final table walked away with at least $1,955, the sum awarded to the first casualty of that final table, Malta’s “NoMorep0lic3”. Each of the final table members represented a different country, showing poker truly is a global game. Lithuania’s “Eimantasa” fell in seventh-place for $2,755 before Croatian “Juste1Canard” busted in sixth-place and padded their bankroll with $3,825. Next to fall was Ryan “pokerwithriske” Riske of Canada who banked $5,624 before Russia’s “andstar555” won $7,527 for their fourth-place finish, which meant the remaining three players were guaranteed a five-figure prize. Austria’s “alwayswin2222” didn’t win as their tournament ended in a third-place finish worth $10,934, which left Sweden’s “mateee” to lock horns with Romanovsky heads-up for the lion’s share of the prize pool. The Ukrainian Romanovsky emerged victorious to add to his earlier victory, resigning mateee to the $16,125 consolation prize. This weekend’s Sunday High Roller Gladiator at partypoker had $200,000 guaranteed, but the 118-entrants meant the prize pool weighed in at $241,900. Half of this amount went into the bounty prize pool with the remaining 50 percent going into the main prize pool that was shared among the top 16 finishers. Some of the bounty payments were substantial, to say the least, with the top three finishers adding more than $12,000 to their prize money thanks to the opponents they sent to the showers on their way to and at the final table. Eventual champion “onehundredeyes” locked up the $22,216 top prize plus an additional $33,025 worth of bounty payments. That second sum was so large because it included their own bounty plus that of runner-up “SpiritDNA” of the UK whose $22,192 runner-up prize was bolstered by an impressive $12,419 from the bounty prize pool. Third-place finisher “Ad_Finem” of Canada collected plenty of scalps before crashing out, which meant they scooped $13,420 from the bounty prize pool in addition to the $15,860 awarded for third place. Two other players won five-figure scores in this tournament. Fourth-place finisher “Alien_Army” won a combined $14,645 while Hungarian “ATM_Mage” walked away with $13,234 when bounty payments were taken ing into consideration. The High Roller tournaments at PokerStars always attract the cream of the crop, and the $1,050 Sunday Warm-Up was no different. Some 260 players exchanged $1,050 for the chance of a near $50,000 top prize, and a handful of superstars navigated their way to the final table. Ole “wizowizo” Schemion burst the final table and finished ninth for $5,585, probably to the delight of the eight surviving players. Eighth-place and $6,534 went to “FDBtazz” of Macedonia, and they were joined on the sidelines by “AceSpades11” whose $8,729 score was the last prize not to be five-figures. Sixth-place went to Argentina’s Damian “pampa27” Salas, a finish worth $11,662 with fifth-place prize money of $15,579 going to “josef_shvejk”. Hungarian star Peter “Belabasci” Traply saw his tournament end in a fourth-place finish, good for $20,813. Not much later, “gnetaren” of Sweden lost their chips and had to make do with the $27,806 third-place prize. This set up an exciting heads-up battle between Thailand-based Australian Michael “Imluckbox” Addamo and the legendary Swede Niklas “Lena900” Astedt. It was the Swede who came out on top, getting his hands on $49,627 with Addamo scooping $37,147. 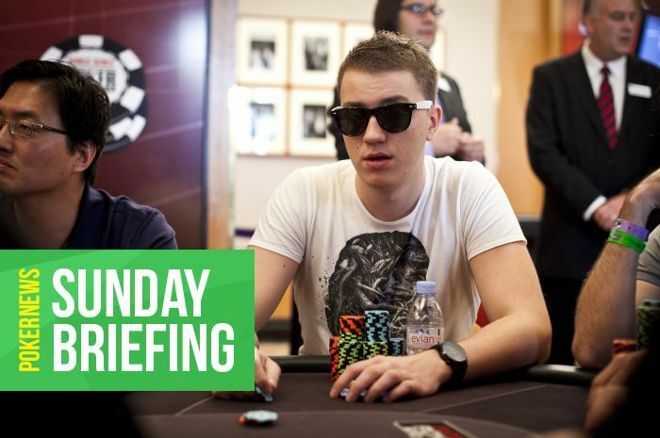 “MoTTaGeNiaL” will likely be relaxing in the Maltese sunshine today after triumphing in the PokerStars Sunday Million, a result that netted them a massive $110,898 score. The tournament didn’t end until 10:10 CET, some 15 hours after the first cards were pitched and during that time a cool $1,080,500 was shared among the top 1,934-finishers. All but one of the nine players at the final table won a five-figure prize with “Stangl999” of Germany banking $8,529 for their ninth-place finish. 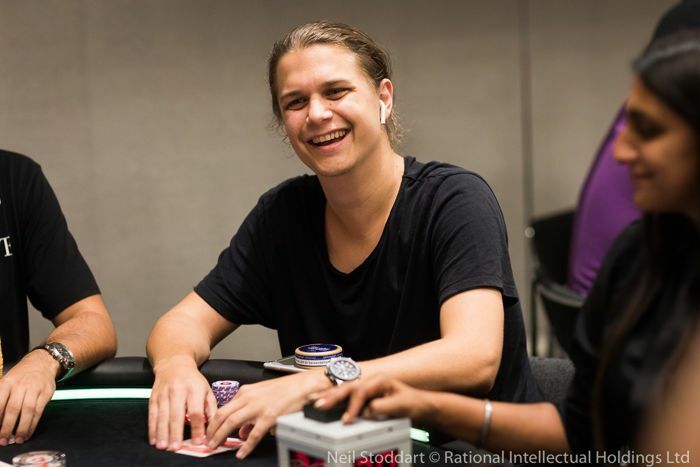 They were joined on the rail by a brace of Norwegians in “skaafjord” and “B--rabbit444” who collected $11,754 and $16,196 respectively before “KronoPP” of Hungary turned their $109 into $22,318. Brazil’s Adrovan “AadrovanRj21” Rodrigues busted in fifth-place for a $30,754 haul and “FIJ1” from Malta banked $42,379 for their fourth-place exit. Next to fall was “BCbonesi” from Canada who collected $58,397 and this left MoTTaGeNiaL and Thomas “MarToMchat” Boivin to play heads-up for the title. It was a fight that the Malta-based grinder went on to win, meaning they had won $110,898 laving Boivin to bank the still large $80,470 second-place prize. The $100,000 Sunday Mega Deep at 888poker overlaid by almost $14,000 and it was Sweden’s “SkallePer58” who took full advantage of the added prize money, outlasting 430-opponents to lock up a $19,350 top prize. The nine-handed final table awarded prizes ranging from $1,750 to $19,350 with the top three finishers each winning at least $11,000. Austria’s “sikosamatik” was the third-place finisher and walked away $11,000 richer while “purplegerbil” of Finland crashed out in second-place for a $14,500 haul. This weekend saw 888poker launch its new Rake or Break tournaments where the site sets a target for the prize pool to reach, which if hit is cool, but if it misses everyone receives their rake back. The $100,000 target Main Event accumulated $84,600 so everyone received their tournament fee back from their $320 buy-in. UK’s “mrsmith78” was crowned the tournament’s champion, an accolade that came with a $17,300 prize. The runner-up, “StuntSoHard” was the only other player to secure five-figures, their second-place was worth $12,690. Earlier at the final table, the Argentinian grinder known as “tinchoarce” crashed out in ninth-place for a $1,607 score, while Sweden’s Simon “Isildur1337x” Mattsson busted in seventh-place for a $2,961 prize. We do not get many online stars from Bangladesh, but one such player made it to third place in this tournament. Akash “strangejelly” Majumdar banked the $9,559 third-place prize and now has lifetime online winnings of $3.7 million.